One of racing’s legends will be remembered on Friday during the Racing NSW Country Showcase meeting at Mudgee. Local trainer and horse breaker Max Crockett, 74, passed away last weekend and was widely regarded as one of, if not, the best horseman in the country. Max broke in more than 7000 horses for all the great trainers including Bart Cummings, Tommy Smith, Neville Begg, Jack Denham and Les Bridge. He also worked for Inglis before enjoying success as a trainer, winning races on each Metropolitan racecourse. Unfortunately, an emotional victory eluded the Crockett family on Thursday when Mackellar’s Love was beaten in the shadows of the post at Narromine. Stewards allowed the horse to run under Max’s name, but the $13 chance was knocked out by the well-backed Something Borrowed ($7 into $3.10). 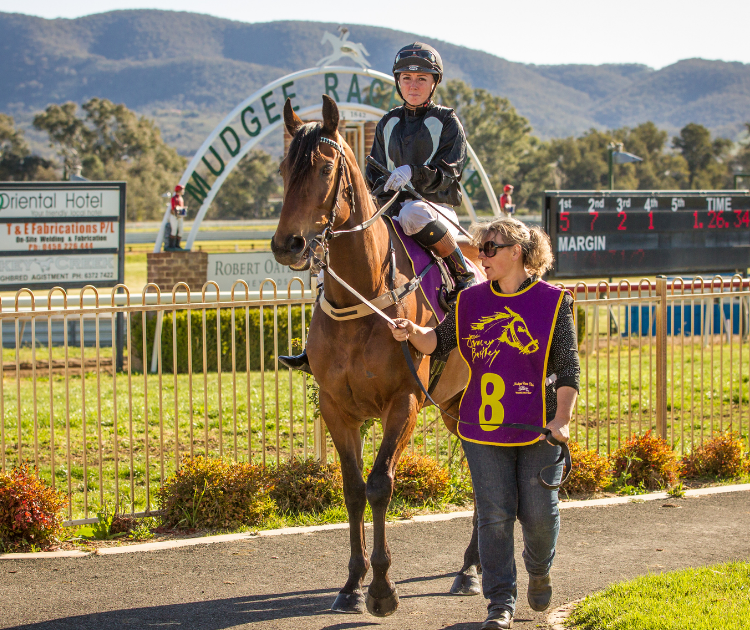 The feature race is the $50,000 Robert Oatley Vineyards Mudgee Cup (1600m) with Gulgong trainer Brett Thompson making the half-hour trip where he will field a number of runners on the program, including Know How in the Cup. Thompson has only had the former Sydneysider for two starts resulting in second placings at Warren and Narromine; both times being considered unlucky. The trainer is also likely to start the talented Sugar Dance in the $35,000 Mudgee Cup Day Sprint (1200m). Sugar Dance has only had the one start under Thompson’s care for an exciting win at Orange (1300m), where the gelding bolted away from the field early in the race and held on to score narrowly. “There is a real buzz about the place and virtually everyone I have spoken to is coming to our Cup day; spring is a great time of year for attending the races,” Mrs Walker said. “Sky Racing Radio’s Big Sports breakfast will be broadcast live from the Oriental Hotel on Friday morning. “However, preceding that on Thursday night will be a Cup Calcutta at the Oriental with proceeds going to Black Dog Institute. “And courtesy of some much-needed rain during the week, the track is looking a picture and we will have an excellent racing surface. NOTE: A ‘celebration of Max Crockett’s life’ will be held at Mudgee Racecourse on Tuesday, 18 December 2018, commencing at 2pm.